Melamine panels are a durable and affordable alternative to real wood! 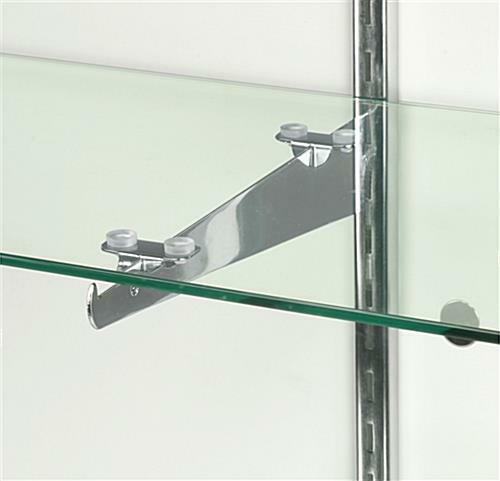 Tempered glass construction is safer than traditional annealed glass! 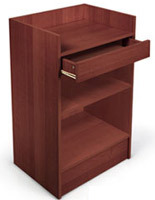 Height-adjustable shelves accommodate varying products as well as seasonally changing displays! 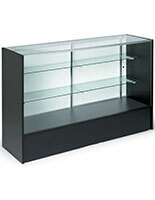 This display case is a great choice for displaying merchandise in a retail store, gift shop, museum, or business lobby. 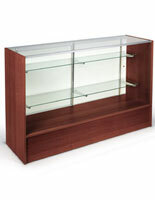 The cherry display case is a 4' long display cabinet, featuring two levels of display space, offering a grand total of 8' of showcase area. The top shelf is 8" deep, while the lower shelf is 10" deep. 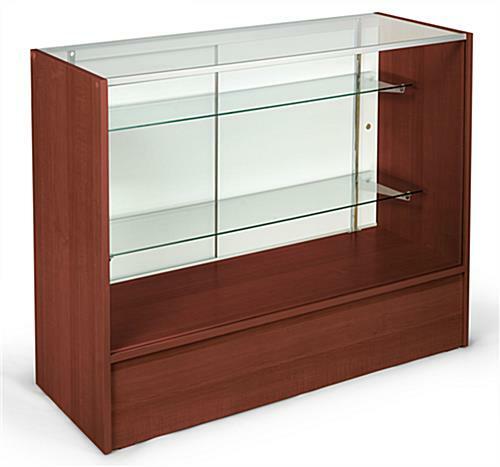 The display case, also known as a trophy case, is perfect for displaying jewelry, watches, handbags, electronics, museum artifacts, eyewear, firearms, and much, much more. 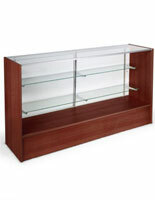 The possibilities are endless with this cherry display case. 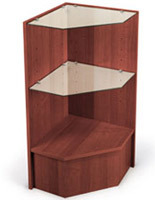 The display cabinet, display case is crafted from melamine panels, finished to look like cherry wood. Although not considered "upscale" because the case is not crafted from real wood, it is in many ways a superior alternative to real wood case styles. Melamine stands up beautifully in high traffic areas; it is sturdy and durable, and it is much more economically priced than real wood. From a distance, customers will never know the difference! 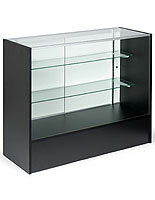 Glass surfaces of this case are crafted from tempered glass, offering a more durable, and much safer, alternative to traditional glass case styles. 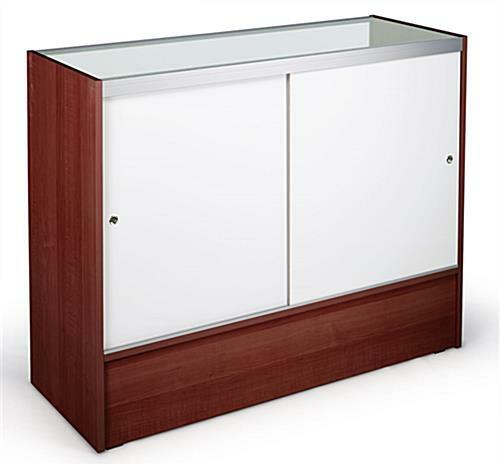 More features of this case include: anodized aluminum extrusions, plastic feet, and solid hardboard rear sliding doors. 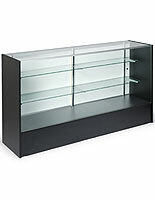 This display case is shipped to you unassembled. Assembly is simple but does require two people. We have created an easy-to-follow video to help with assembly. Assembling this case yourself saves you money on warehouse assembly and shipping costs. It also helps you receive the display case faster, as it will ship out today (if ordered before 1pm EST), compared to a 2-day lead time for assembled units. 48.0" x 38.0" x 17.5"